RBP manages vibrant restaurants in architecturally prominent properties throughout the city. Travelers and locals can experience the vibrant dining culture in our unique Georgetown, Washington DC restaurants. The city's freshest seafood and oysters are served on the C&O Canal at the Sea Catch Restaurant and Raw Bar in the heart of Georgetown. If you're looking for something local, try the regional fare at The Tavern, or catch some live entertainment at the Blue Bar Cocktail Lounge located in the revered Henley Park Hotel. Our Washington, DC restaurants will thrill you with the latest in culinary innovation in DC's most exciting neighborhoods. The Morrison Clark Historic Inn serves classic American cuisine in one of Washington, DC's most historic settings. Enjoy specialty cocktails, small plates, and brunch dishes in either our Main Dining room, Lobby Bar and Lounge or dine al fresco in the peaceful courtyard. . The American Cuisine, complimented with old world ambiance, makes for a memorable dining experience. Blending historic charm with modern flavors, our restaurant and lounge are favorites among locals and our guests. 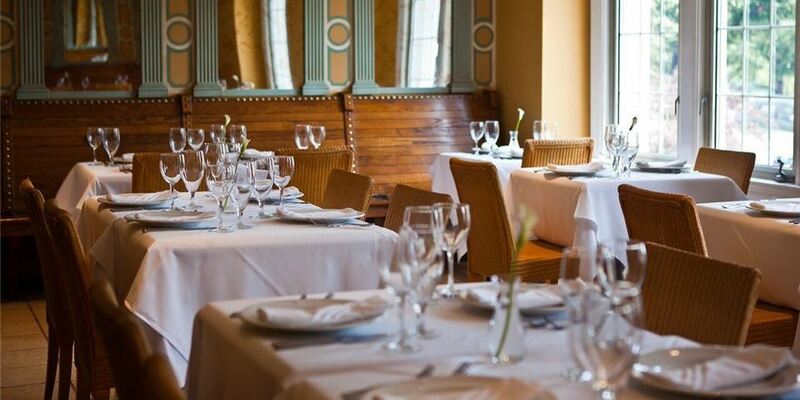 For private dining and business and social gatherings, the Front Parlor offers an elegant setting with lead glass windows overlooking Massachusetts Avenue. We serve a diverse selection of American classics using fresh, regionally sourced ingredients Enjoy afternoon tea by the fireplace in our exquisite drawing room, a rich tradition that nods to a simpler time. Enjoy casual dining at Cafe Lombardy, our inviting hotel restaurant featuring classic bistro style cuisine in a relaxed ambiance. 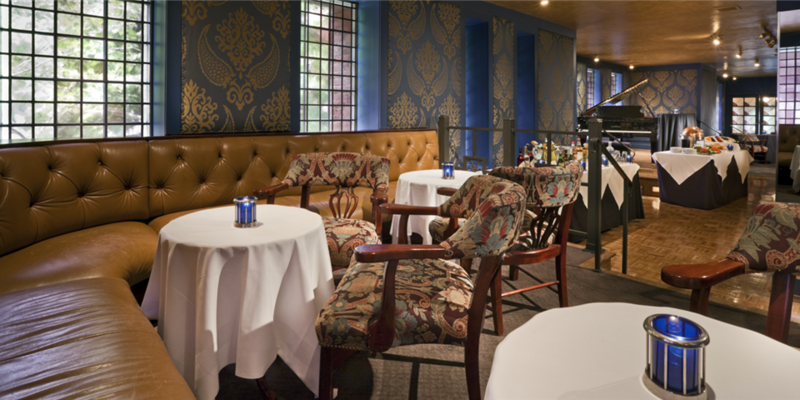 Our Venetian Room Bar & Lounge with its cozy Victorian charm is the perfect place to relax with a cocktail and delicious small plates after work or a long day of sightseeing. From sumptuous regional cuisine to our famous Sunday brunch, Hotel Lombardy offers a vibrant dining experience on Pennsylvania Avenue.. Enjoy the warm, inviting atmosphere and delicious cuisine at our Garden Café. Cooking with fresh, local ingredients, the café serves an enticing menu of American classics with a creative twist. During the warmer months, dine al fresco on the peaceful outdoor terrace to enjoy breakfast, lunch or dinner. If you're looking for happy hour in Foggy Bottom, The Garden Café is the perfect place to unwind. After a day of business meetings or a sightseeing adventure through Washington, D.C., enjoy Happy Hour specials on beer, cocktails and appetizers from 4 to 7 p.m. 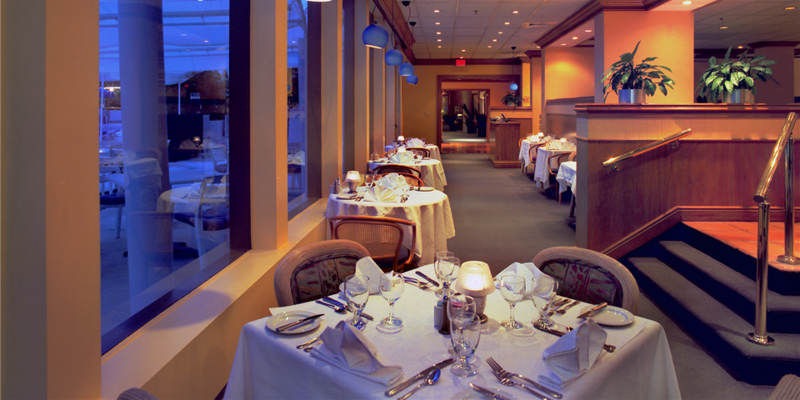 Enjoy a captivating duo of downtown Washington DC dining choices at the Washington Plaza. At 10 Thomas Restaurant, innovative American cuisine is served with a hearty helping of cosmopolitan ambiance and unpretentious hospitality. Enjoy our full breakfast buffet, lunch or a tasty bite on our pool deck when weather permits. For signature cocktails and delicious small plates, stop by The International, our onsite lounge.